Kids love coloring pages, even boys! So, I have made several Pokemon coloring pages for boys and will be sharing them over the next few weeks! If you have a special request, be sure to ask! I will see what I can do. 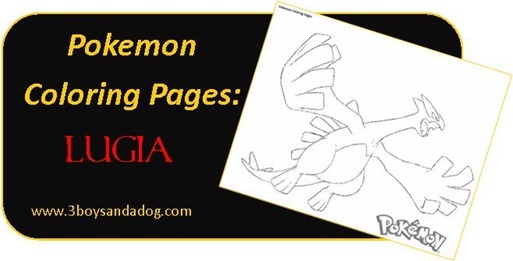 Simple click the image below to download your Lugia Pokemon coloring page.